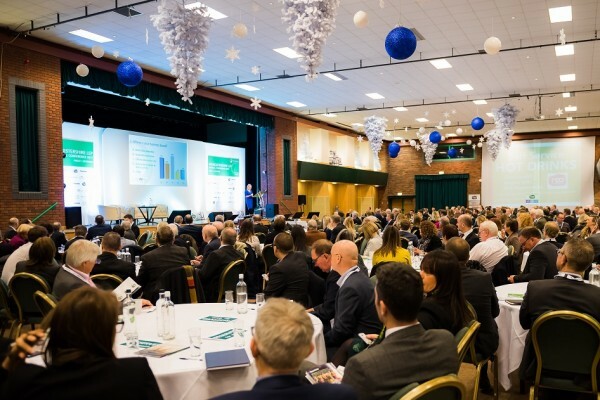 Nearly 400 businesses attended Worcestershire Local Enterprise Partnership’s Seventh Annual Conference. The Conference, which has grown its reputation as one of Worcestershire’s biggest business events, took place on Friday 1 December at the Chateau Impney in Droitwich. BBC Midlands Today’s main presenter Mary Rhodes hosted the Conference, while keynote speaker, Dave Coplin, provided his expert knowledge on how local businesses can achieve the full potential that technology has to offer. A number of high-profile speakers were able to share their expertise on topics including innovations in health, 5G and mobile connectivity, apprenticeships and more. Delegates were given the latest news on projects delivered in line with Worcestershire LEP’s vision of building a connected, creative, dynamic economy that delivers increased prosperity for all those who choose to live, work, visit and invest in Worcestershire. Attendees were also among the first to receive a copy of the Worcestershire LEP’s new 2017 Annual Report, which looks back at another highly successful year for the local business community, as well as the exciting projects in the pipeline. Delegates also had access to a vibrant exhibition area with a range of local companies and organisations on hand provide details of the support available to local businesses. Sponsors of the conference included: Bishop Fleming, EBC Group, Hewett Recruitment, RCA Regeneration, The Training Academy, Thursfields Solicitors and Wild Edric Media. Mark Stansfeld, Chair of Worcestershire Local Enterprise Partnership, said: “I was delighted to see such a large audience in attendance for this year’s #WLEP17 Conference. 2017 really has been a fantastic year for businesses in Worcestershire and there is a real sense of momentum at the event and in our wider local community. Presentations and photos from the event are now available on the Annual Conference website.